We chose this cruise because we liked the places it was going to go, some of us wanted more seatime to take advantage of all the activities offered onboard, we were able to use FF miles for our flights and the timing though not perfect for us was doable. 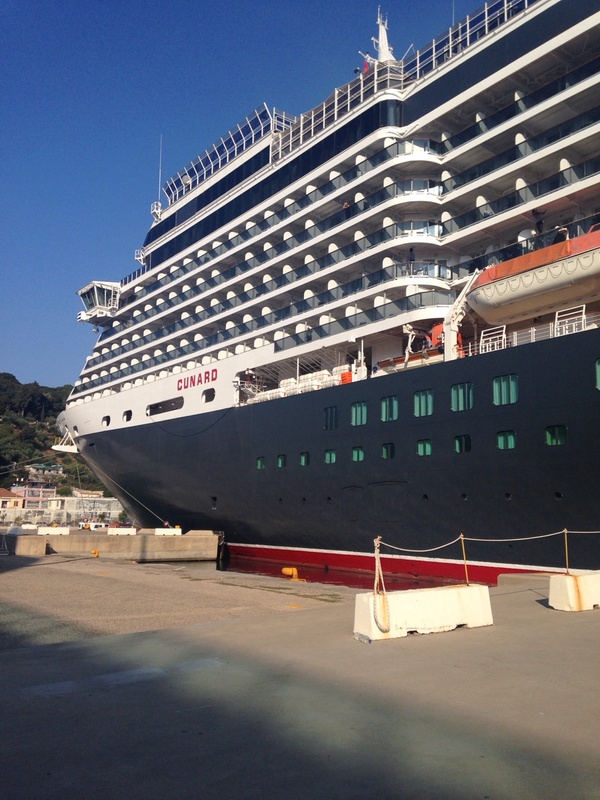 Our concerns were that Cunard might be more formal than we wanted to be on vacation and I have to admit it was. Dressing for dinner and the shows every night required packing a lot of clothes. I'm not sure I would choose Cunard again. Wonderful experience. Would highly recommend Cunard. Service and quality of entertainment superior. Absolutely love Cunard. Service and staff are top notch! We thoroughly enjoyed the cruise on Cunard Queen Victoria. The service was excellent. Positives were few and stated above. This ship was driven through very rough seas at one point almost hurricane force. My wife was terrified, sick, and crying so often. The last 2 nights she was unable to eat or sleep. I will have a tough time ever getting her to sail again. If winter is this rough you should know this and not schedule cruises from these ports. Our money and time was wasted. A class experience all the way. Cunard provides the excellent British nautical atmosphere a cruise should have. Great service, great food, without the gimmicks. Enjoyed the trivia games, bingo and great food. The service was impeccable. The stops were great, but I was disappointed that we didn't land in Madeira due to high waves preventing the tender from landing, but the fireworks were fantastic. Originally, this was supposed to be a docking port, but it changed before the cruise. Really good lecturers on the royal family and Cunard history. let me start with they told us to meet them in the wrong place ! ports times changed daily! food was not good in most of the places food was very BLAND they gave you to eat! the duty free and gift shop over charge twice as much if not more.and not a lot of things to choose from. exchange rate was the same for the whole 11 days. tv was a few shows shown over and over everyday. internet was not cheap. ELEVATORS were not marked clear how to get to all DECKS! port times were very short. very limted things to do everday. trip was setup for MUCH OLDER GROUP OF PEOPLE! staff was good. and ship is kept very clean. have to pay for soda and have to wait a long time to get it. and if you don't carry you card with you 24/7 you will not get it or anything else. Traveling in Queen's Grill was the best cruising experience ever, even though we had the lowest category Q6. From the check-in we simply walked aboard. The suite was huge and we enjoyed the included bar set-up with wine and a bottle of Bailey's. When the wine was gone, they brought a new bottle. The soft drink supply in our room "mini-bar" was re-stocked every morning. Our butler brought canapés each evening and tea time was perfect. We only did the tea time once because we ate too much! The staff aboard was friendly and very professional at every turn. The only negative was an error on our bill the last evening. We shall return to Cunard in the not-to-distant future. Cruise are lovely and clean. Staff and crew are very helpful and fun with us. We are deaf, Crew and staff are good understand. Food are very nice. we stayed different places. We like Rome, Florence, Pisa and Barcelona. Very interested see ball room dancing every night. We are disappointed nothing else if we don't want stay to watch Ballroom. Loved the cruise but could have had better port lectures. Food and crowd control for breakfast could have been improved. Beds were spectacular. Flat screen and bigger tvs would have been better. Food was good but not as much variety as I remember from previous cruises for lunch. 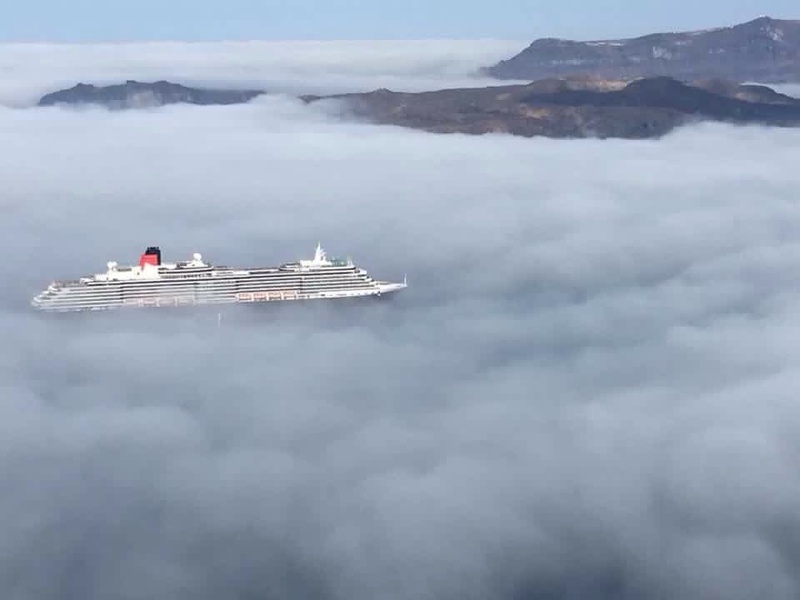 Very relaxing cruise. Mostly elder crowd, much different than the cruises that I have taking in the Caribbean. Overall, great food, staff, and amenities. The good: Beautiful ship, better than the pictures in the Cunard literature. Great, professional Cunard staff. Fantastic service almost everywhere. Britannia Restaurant food very good for mass-produced food, and Verandah Restaurant food better than that. Really appreciated 2 full days in Venice. The OK: Cruise entertainment ranged between great and not. What was with that Queen cover band? Awful! Some of the shore excursions had too much bus time to get to unrewarding destinations. They should disclose how much time is spent in a coach on each itinerary. But most excursions great. The bad: while the Spa services were good, the relentless up-selling by the staff really took away from the experience, and the treatments were expensive for what you got. The internet service was terrible, and failed log-outs (not just me) wasted a lot of purchased minutes. In-room entertainment was bland, and the technology was antiquated. It should at least have allowed you t plug in your own device. Ship was beautiful, crew was helpful, efficient and the service was excellent. Cunard elected to replace a major port for Ephesus with a very secondary port in Albania. This was the only thing negative about this wonderful cruise. Cabin staff was helpful and service was very good. Dinner waiters very nice .we did like the band Blue Haze very much. Pools were clean but hot tubs were just warm. Giving me a lower limit to write a review is not very user-friendly. The categories are also too broad... and inaccurate as we did not go near Turkey at all. The above comment relates to the cruise itself. The service, stateroom, food and entertainment were all first-rate. To have "Let Me Call You Sweetheart" sung to us on our anniversary in the restaurant was unforgettable! When we reached Rome however, we were lost. The airport was huge and after so much care on the ship we felt a bit "dumped!" We are both disabled. After walking 1/2 a mile we managed to waylay some transport. It was such a shame after a lovely holiday. I booked the Cunard Victoria for my fathers 80th birthday with my mother and a total of 13 family members. We cruise frequently as a group for any occasion ie my 50th my fathers 75th my brothers 50th etc and have been on many very nice ships before and this time decided to travel on the Victoria and I booked penthouses for everyone so we were all in the Queens Grill. We had a fantastic time and were looked after incredibly well by all the staff on the ship from embarkation to disembarkation. The suites were lovely but the Queens Grill Restaurant and Bar Lounge were exceptional and everyone commented on how they felt that nothing was too much trouble.